I have a Scarf Re-purpose series for you all to see………….re-purposing scarves into something else. 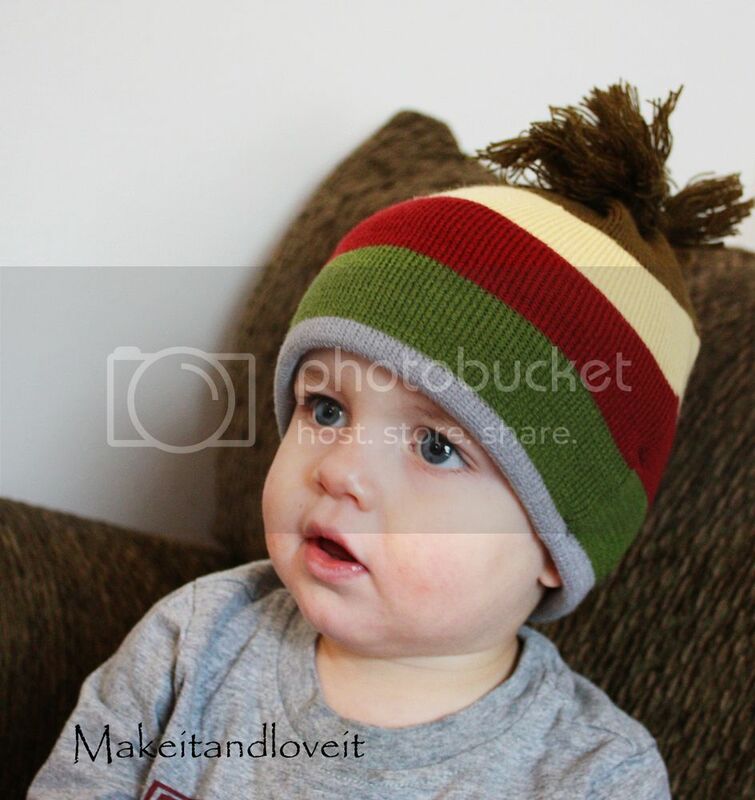 A sweet little hat for any little guy or girl, no matter the age. Then the two pieces together along each side……leaving the bottom and top open. Turn right side out and then gather the scarf fringe in one hand……. And then use thick thread (quilting thread), yarn, string, or anything strong enough to wrap tightly without breaking. Wrap your string right below the fringe, winding very tightly to seal off the top. Then turn under the bottom edge of the hat and sew into place. And if you need to sew it several times to keep the threads of the scarf from unraveling, go ahead do so. Make your stitches big so that you don’t stretch out the scarf as you’re sewing. Otherwise after you tuck it under, it won’t lay flat. Try it on yourself, your little one, or whoever it’s for and measure the length of hat you’d like. Fold under the rest and pin in place. Then, along the side seams, tack the inside flap in place by sewing and back-stitching over and over again. Heh, so much for getting the housework done! This is a project that MUST be complete posthaste! Wow. I am constantly impressed and amazed at what you repurpose! I can't wait to try this one. Do you have any ideas on what to do or how to repurpose a v-neck t-shirt (like the kind from Target)? Thanks! OMG, I am NOT a sewing type of girl and I totally think I could do this! SO SIMPLE, and SO CUTE!! THANKS for showing me!! Cute, easy – love it! Now if only I had a scarf…got any ideas for stray outgrown mittens/way too small snow pants? I have loads on those. LOL. I love it!!! 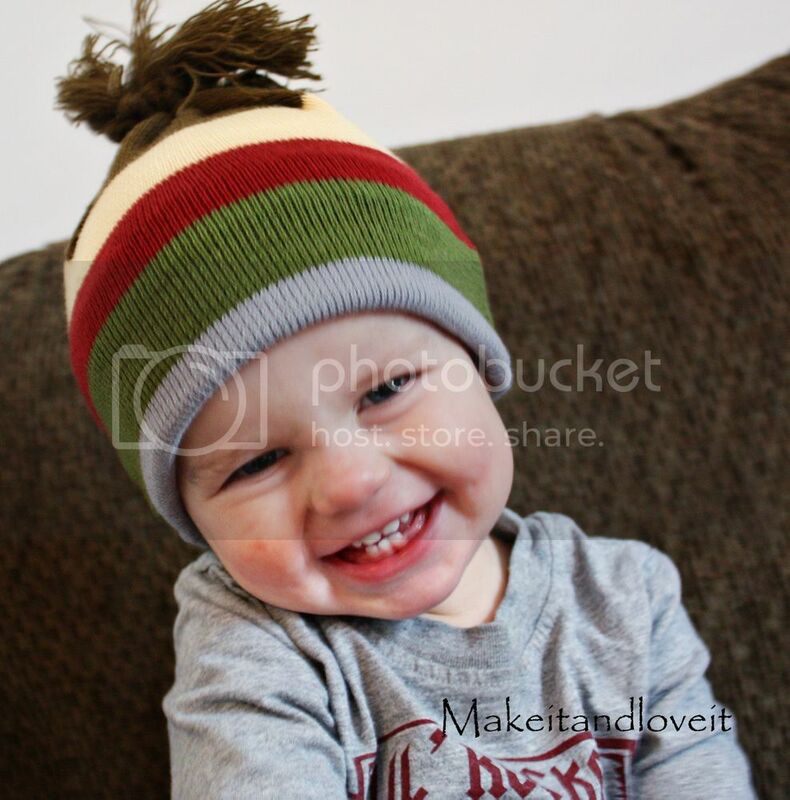 Way to cute! For serious it is that easy?! Sweet. I'll never look at second hand scarves the same again! You make it look so easy ~ I love it! it's darling – you must be a genius. So rad! My friend gave me a bunch and unfortunately they are the wispy thin kind. Not thick and warm. AWESOME!!!! I have JUST the scarf to use! Your son is so handsome. LOVE the hat! Great idea. Your model is absolutely precious also! What a great idea! I love it. and what an adorable model! I'm hosting a giveaway on my blog – if you love Christmas, quilts and totebags, come on over and take a peek! what a fantastic idea!! I am going to make these for my kids today! 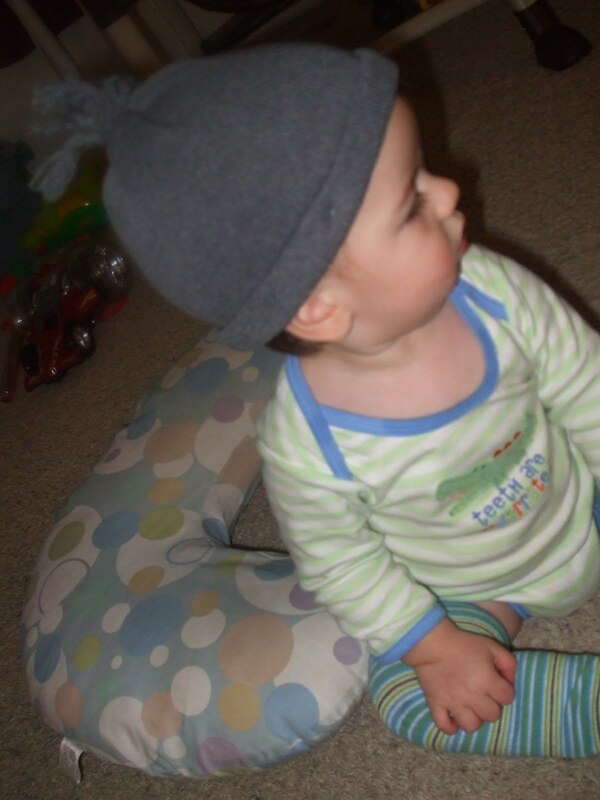 My cousin has been looking for handmade winter hats for her new baby boy…this will be perfect! Thanks for posting! Do you have any ideas on what to do or how to repurpose a v-neck t-shirt (like the kind from Target)? I saw this a while back and went to the store and bought me a scarf to use. The only ones my store had are the double thick kind but it still worked out great. I'm new to the sewing machine world but I'm proud of my little hat. I'll have to get a picture of my DS with it on and get it posted on my blog tonight. Now if he would just keep it on! Here's a picture of the one I made. I never thought of remaking a scarf. I love cheap ideas for reusing things. I love your ideas….. I consider myself a clever DIY’er but you come up with things I never would have thought of …thank you thank you !